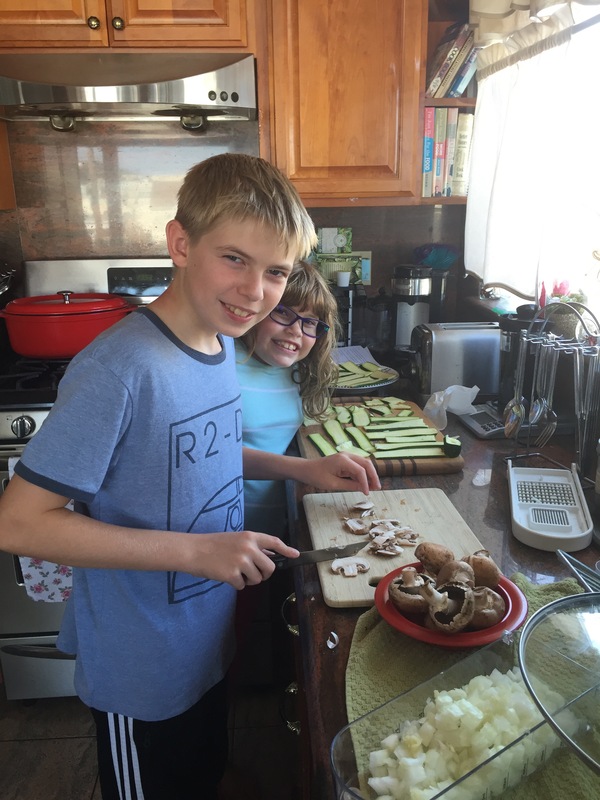 I love cooking with my kids! And maybe one day, I’ll get them to chop the onions! 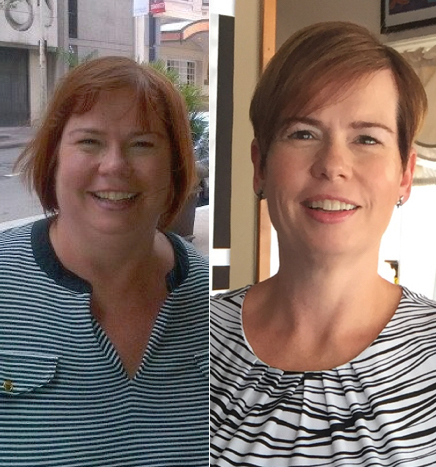 You learn many things when you start a weight loss journey. Of course you learn about exercising and eating right. You learn about taking care of your head and heart as well as your body. One of the more practical things I learned over the past three years is to cook. Yes, I could cook before my gastric sleeve surgery, but I’ve realized that I’m actually a better cook now than I was before I lost weight. I can definitely attribute some of my adult weight gain to my cooking skills…well, my lack there of cooking skills. I claimed it was easier and cheaper just to get take-out or buy frozen meals since I lived on my own. I lived so close to quick and cheap take-out restaurants so it was convenient as well. When I moved in with my husband, we weren’t the best at cooking at home either. Occasionally we would be inspired to cook new foods, but most of the time we just made pasta dishes since they were quick and simple. And when we added two children to the family, cooking became another chore, another necessity to keep the kids happy and heathy. Take out food, frozen meals, and once the kids could sit at a restaurant without too much damage, eating out were just the easiest ways to eat. Now I can’t say that post gastric sleeve surgery meant I was suddenly the next Julia Child. For the first few months, food was a chore and I wasn’t really interested in expanding my cooking skills. And while I did start to cook at home more often, it’s really been the past year that I’ve made more of an effort. When I started to analyze labels and food costs I decided to make a change. I knew by cooking at home I would eat better, my family would eat better, and more importantly, I would set a better example for my children. How can I send them out into the world and expect them to cook on their own if I haven’t shown them? Baked Fish. I admit I wasn’t a big fan of fish in the past. Once I realized that fish really is good for you and doesn’t have many calories, I became a convert. I still only like the meaty white fish, but it’s a start. I buy wild caught Mahi Mahi from Trader Joe’s and with just a little olive oil spray, seasonings, and lemon, it makes a great meal in less than 15 minutes. Prepared salads are fast, easy and tasty. Trader Joe’s has a wonderful selection of salads, but you really need to read the labels. I always check the calories on each salad. Remember, salad doesn’t always equal healthy. Salad dressings and toppings can be full of fats, sugars, and calories. My current favorite is the Lemon Chicken & Arugula Salad. It’s a nice mix of flavors and only 300 calories for the whole package! Pre-seasoned meats. While I mentioned earlier I’m not a big fan of crock pot meals made with canned soups, there are days I don’t have a lot of time to prep a meal. My go-to pre-seasoned meat is Trader Joe’s Cabernet Beef Pot Roast. It’s flavorful and we always have leftovers. Some days, you just need to let someone else do some of the work for you. Flavored salts go a long way to make food better. Almost every day I use Eatwell Farms flavored salts that I buy at our local farmers’ market. Rosemary salt goes on thinly cut pork chops while heirloom tomato salt is perfect on roasted vegetables. To add more flavor to baked fish, I use the lemon salt. Switch things up! I admit that I get in a rut when it comes to cooking. I tend to do the same meals over and over. While it does make life easier, it also makes dinner boring. I’ve learned to mix things up; not every Tuesday needs to be Taco Tuesday. I also plan to change how we eat our favorite meals like fish. Baked fish is great, but why not make it into fish tacos? Getting the whole family involved in cooking is fun. Of course my kids love to bake cookies every Christmas, but I finally noticed that they enjoy cooking all year round. 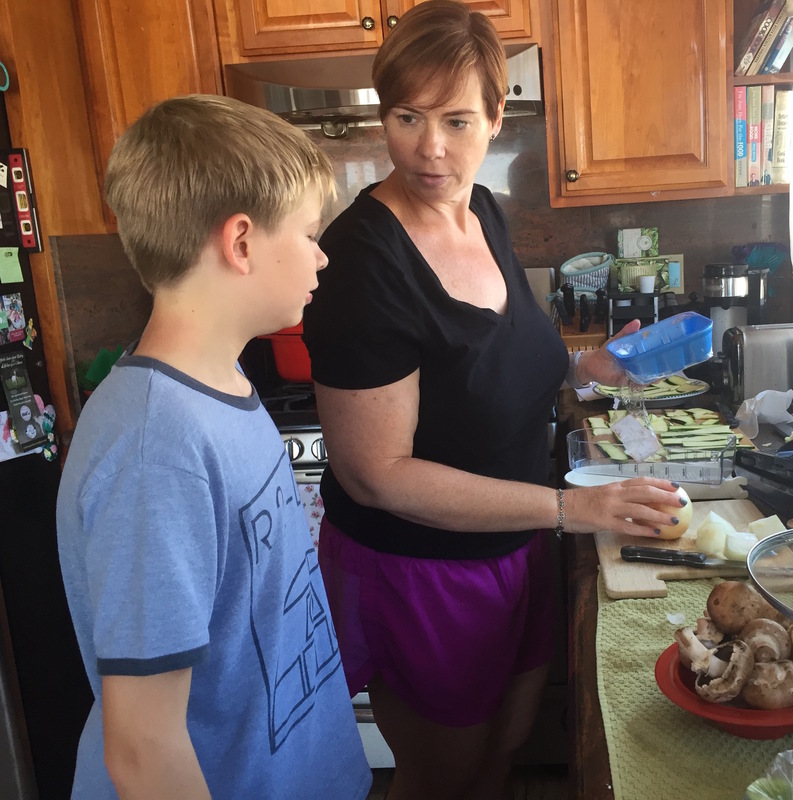 My kids love to help in the kitchen and I’ve learned that they can do more than I realized. Somehow I always end up being the one to chop onions, but they like to chop other vegetables and brown the meats on the stove. The zucchini lasagna has become a family meal from prep to cooking to eating! I love that the whole family takes part in cooking dinner. Zucchini Lasagna is our current favorite!